Ian is currently working on his Master's in Electrical Engineering at the University of Alabama in Huntsville. He did his undergraduate at Peabody Conservatory at Johns Hopkins University, studying Music and Recording Arts. 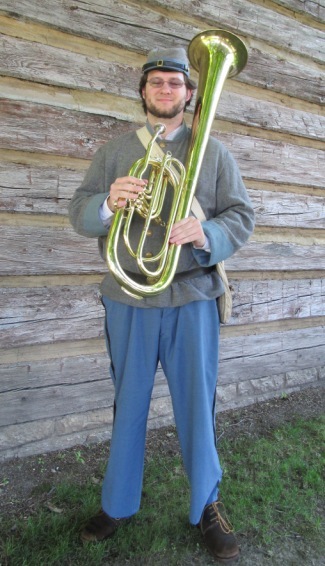 A native of Huntsville, Ian is currently an active musician in the area performing with the UAH Wind Ensemble, the Brass Band of Huntsville, and of course, Olde Towne Brass, where he plays an 1865 John F. Stratton Eb Bass.